Fox just cleared up a bunch of space on their schedule by cancelling Last Man on Earth, The Mick and, to the pain of Andy Samberg fans everywhere, Brooklyn Nine-Nine. Now, it looks as though the network is taking its schedule in a different direction by picking up Tim Allen's cancelled ABC sitcom Last Man Standing. The show — which happily poked fun at modern progressive politics — ran for six seasons on ABC before its unexpected cancellation. Now, it will return to the air on Fox. "Excited? Team LMS was in the sixth inning, ahead by four runs, stands were packed and then for no reason, they call off the game. It leaves you sitting in the dugout, holding a bat and puzzled. Now we get the news from Fox that it's time to get back out on that diamond — hell yes, I'm excited!" Allen said in a statement. 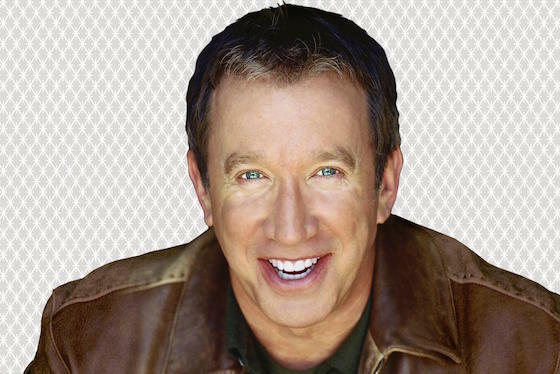 "When I heard the offer to create more episodes of Last Man Standing, I did a fist pump so hard I threw my back out. It's the fans! I could not be more grateful for the fans who wrote petitions and kept up the passion and incredible support for the show. And a fist pump, ouch, for Dana Walden and Gary Newman at Fox for not only listening to the fans, but for making the bold move to bring Last Man Standing back. I'm sure audiences will be curious to see what we look like after all these years. Oh, has it only been one year? Well, just goes to show you — a lot can happen in a year." It's as yet unclear when the show will return to the air. Meanwhile, we're also still waiting on a documentary wherein Allen promises to trigger libs with his so-called "politically incorrect" humour.